For two years in a row I have received a report from a PCA in Yuba County of conchuela stink bugs on rice. This is very unusual; I have never seen these stink bugs on rice before, and I'm not very familiar with them. A quick on-line search shows that they are common on the western US; they can be a pest of cotton, alfalfa seed and sorghum, but it has a wide host range. 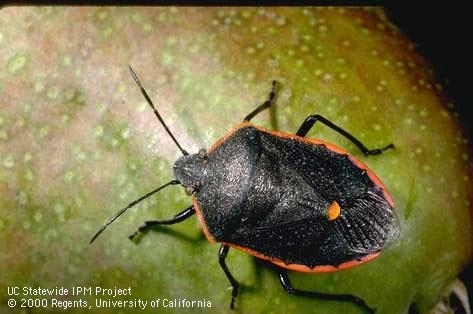 Our UC IPM webiste only lists them as a pest of apple and pear, so I don't know how prevalent they are in agronomic crops in the Sacramento Valley. Last year they did not affect yield or quality in the field where they were detected. I am not considering these bugs a pest; just incidental at this point. 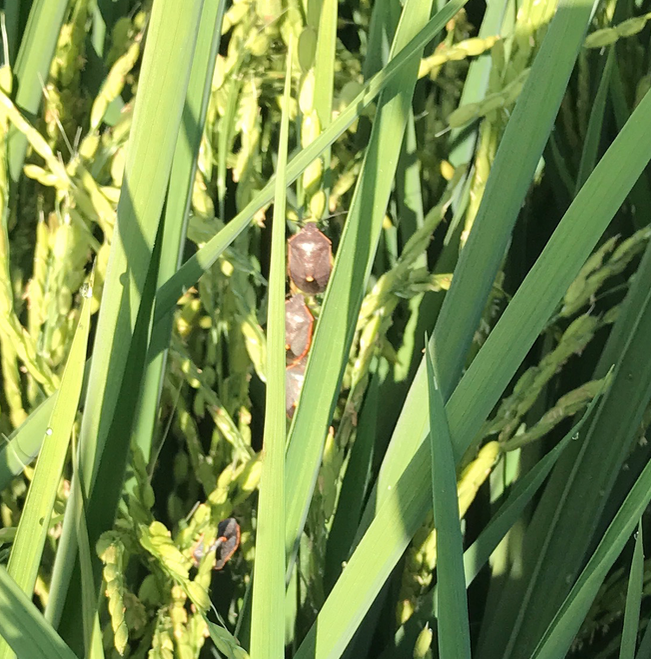 I'd love to hear from other PCAs or growers if they have noticed them in their rice.